It is a well known fact that flowers are not only beautiful to look at, but they could actually help you to relax and unwind too. The only trouble with flowers, especially those that come in bouquets, is that they will wilt away quickly and have to be thrown away. Not ideal. A great alternative that you can try out for yourself is it to utilise the space that you have on your windowsill and grow your own flowers. A windowsill is not only easy for you to see, but also will attract a whole lot sunshine too, which we all know is great for flowers. So, which flowers are the best? Which flowers are the most relaxing and which flowers are easiest to grow on the windowsill? 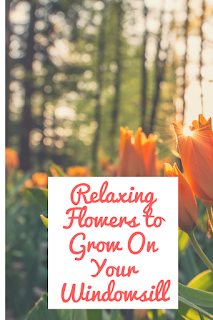 When it comes to growing flowers on your windowsill one of the main things that you need to think about is that the flowers need to be hardy and as resistant to cold snaps as possible. One great flower that you can grow on your windowsill are perennial Euryops daises, these are not only great fun but they are cute too. Some people are going to prefer to grow flowers from bulbs. If this is true for you then there are a variety of plants that you can grow. This incudes tulips, anemonies, narcissus, daffodils, crocus and iris. Another colourful option that might just be ideal for your windowsill garden are verbenas. Verbenas are bushy and come in purple and violet shades which will bloom throughout the Summer and Autumn months. Geraniums are another great choice. Not only do they look great, but they are also ideal if you want to combat mosquitos from making their way into their home. How can you create a windowsill garden? Before you start thinking about the plants that you want to have in your windowsill garden then you are going to want to have an idea on how you will create it. One common misconception is that you have to buy expensive pots, but to be honest, the majority of pots that you are going to buy from gardening centres are going to be far too big for you to use. It is a much better idea, as well as a much simpler idea to upcycle crates that you can then paint and use to plant your flowers. You could even use old tins that you can then paint with chalkboard paint and write on them to say what is inside. The thing to remember is that you need to have a drainage hole in the bottom of the pot, as this will help the water to come out and will stop stagnant water building up and damaging the plants. How can you look after your windowsill garden? Just like any other garden, when you create a windowsill garden you are going to need to look after it, but where do you start with this? The one thing that you need to remember is that it isn’t a good idea to over-water your flowers. This can lead to them sitting in stagnant water and this will cause issues for those delicate and sensitive plants. Another top tip is to make sure that you remove any dry and dead leaves from your flowers when you notice them as this can encourage fresh new growth. You also want to protect your plants from the weather too. The general rule is that plants should get an equal amount of sun and shade during a day, which means that you need to carefully think about where they are located. Not only this, but if the weather turns bad and you are worried about them surviving through it, then try your best to move them closer to the wall or into a covered area as this will help them. Imagine how great it would feel to sit in your home and look out of your window, only to see a rainbow of colour, all from flowers that you have grown yourself, with your very own green fingers? Like the idea of growing beautiful blooms on your windowsill for you to enjoy whilst you are relaxing at home? If you do, then the best way to get started is to start flower growth in a fruit cage. Fruit cages are not only simple to install but they come in a variety of shapes and sizes too, ideal if you are short on space in your garden but still want to have some beautiful flowers to look at.